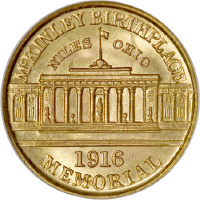 The National McKinley Birthplace Memorial Association was incorporated by a special Act of Congress on March 4, 1911. 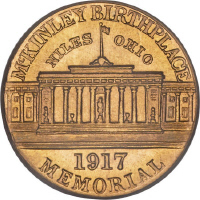 The purpose of the Act was to build a Birthplace Memorial in Niles, Ohio for Mckinley, United States 25th President. 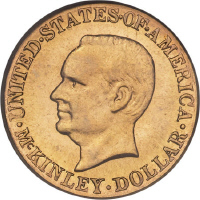 The $1 Gold Commorative sales where used to help fund the more than half million dollar project that was dedicated on Oct. 5, 1917. 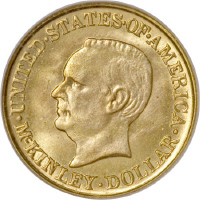 The obverse of the coin was design by Charles E. Barber (most famous for his U.S. Barber coinage series) and the reverse by George T. Morgan (most famous for the Morgan Dollar design). I forgot about the existence of these pieces! Thanks!